We didn’t expect this day to come so fast. The day when we can turn back and overlook all of the „Sounds of Culture“ presentations. For one more time ESN VMU would like to remember the joyful moments and to share the great experience that you made for everyone. We already had a habit to leave all the dealings and plans for the other days, in order to spend the Thursday night somewhere on the other side of the World. That‘s right! We didn’t had to go anywhere, the World came to us. Where else if not in “Sounds of Culture” it would be possible to find such a variety of people and to feel what is like to live somewhere far away: from a small and cosy island in Caribbean to the most populated and biggest countries in the World. Here the stereotypes broke up and friendship with understanding rose while the “sounds of culture” where roaring. But before the last “thank you” we would like to share some interesting details with you. In almost two months, nearly 35 countries have been presented! Everything has happened in that time. Kotryna, one of the main organizers shares the difficulties and joys that led her throughout the series of CN’s: “There were plenty of difficulties when organizing the Cultural Nights. Not only it was challenging to come up with new ideas for the theme of every season, but there were little problems such as finding representatives from "rare" countries, changing the dates of presentation for some countries or even going to "Maxima" to help choose some products. For me, as I've been with this event almost all its existence, the most memorable moments are those when people gather together and celebrate. Like French guys dancing a silly dance for everyone, singing all together, dressing up for the evening or just staying after the official part and having fun. These moments of their friendship and happiness, which can repeat in one place for them all every week is something very magical about the Cultural Nights”. Even though “Cultural Nights” were organized for the 5th season you have still amazed us with your creativity, talents and devotion. Eye-catching dances and musical performances perfectly fulfilled the topic of “Sounds of Culture” which took everyone to your cultural environment. Nevertheless the season of Cultural Nights is over, the sounds of your culture are still with us every time passing the Kęstučio Street. You have put up the high standards for the next Erasmus generations. 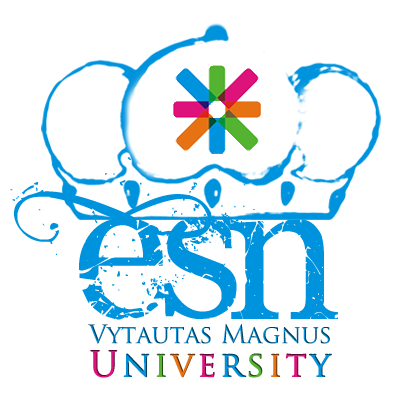 ESN VMU will remember your performances long after and thanks to everyone who participated in the series of this amazing event!